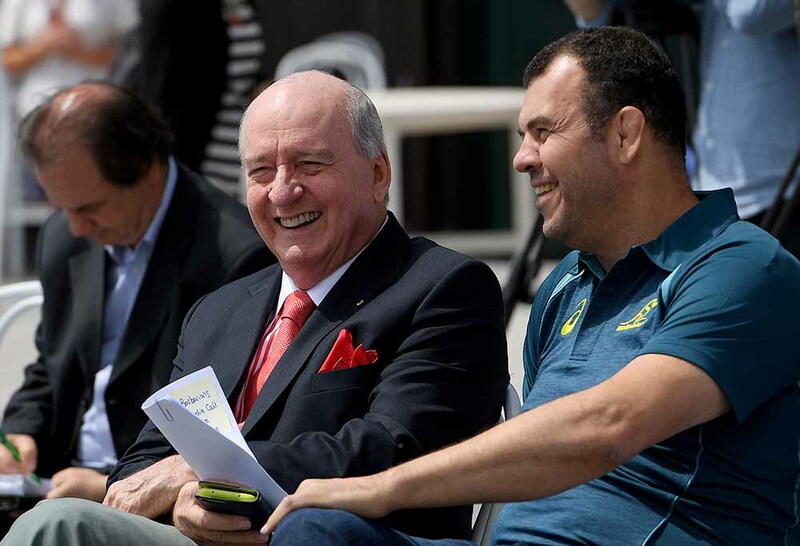 On 15 July this year, I was happy to hear the news that former Wallaby coach Alan Jones had accepted an invitation from Barbarian F.C. to coach the touring side to play the Wallabies on 28 October. This year marks the 30-year anniversary when Jones last coached the Wallabies. Jones’ contribution to Australian rugby has often been understated, perhaps because he is a controversial media personality. However, aside from R.J.P. Marks, I can’t think of a more appropriate candidate for the ARU Hall of Fame (which unfortunately does not include coaches). Jones’ reign as Wallaby coach brought unprecedented success to Australian rugby. In the 102 games that Jones coached, the Wallabies won 89. Of the 30 Tests that he coached, Australia won 21, drew 1, lost three to the All Blacks by one point, and lost another with 14-men after David Codey was sent off in the opening minutes of the World Cup third-place playoff against Wales. He was the coach of a side that is one of only five teams to have won a Test series in New Zealand – the 1986 Wallabies. The 1984 Grand Slam Wallabies still remain the only Australian side to have won every Test on the tour to the United Kingdom. Many of Jones’ accomplishments paved the way for future Wallaby success, and were replicated by other nations as well. Perhaps Jones firstly deserves praise for introducing the role of assistant coach, a relatively new innovation in the amateur era of rugby, by utilising Alec Evans and assigning him the role of forwards coach of the Wallabies. Credit goes to Alan Jones for introducing the role of the assistant, a key factor for improving the Wallabies. He roped in Alec Evans as his assistant and forwards coach for the ’84 Grand Slam tour and it was such a success that I had no hesitation in replicating the move when I was returned as national coach in 1988. Jones had met Evans while they were both employed at Brisbane Grammar, and Evans was to become not only an amazing asset for Australian rugby for the duration of Jones’ coaching reign, but for many more years to come, which include his role as part of the victorious 1999 World Cup Wallabies. However, the effort Jones made to construct infrastructure in Australian rugby is more extensive than this. Upon his appointment as Australian coach, Jones introduced a national training squad of 50 to 60 players. This was an extraordinarily large number of players. However, Jones hoped that by giving fringe players a taste of the national squad, it would help lift the standard of the NSW and Queensland teams. Jones’ first point of order was to find a tight five capable of winning and securing quality ball. This may sound ridiculous, but this was no mere feat for Australian rugby. The 1981-82 Wallabies to tour the United Kingdom were consistently exposed in the scrums and line-outs. Jones earmarked Andy MacIntyre as a suitable tight-head prop for Australia. MacIntyre had made his debut for the Wallabies in 1982. And despite playing both Tests in France in 1983, MacIntyre spent most of 1983 absent from the starting Wallaby side, and even on the bench for Queensland. And while any coach in world rugby would be intelligent enough to select Topo Rodriguez after his immigration to Australia, Jones made every effort to help Rodriguez once his residency was certified. However, no selection defined the coaching reign of Alan Jones than that of Steve Cutler. Following Australia’s 1983 tour to Italy and France, Cutler was told that he would never play for Australia again. He was the first player Jones selected! Jones treated Cutler like the best line-out exponent in the world, and that’s what he became. If you ask Cutler what his best performance in a Wallaby jersey is, he’ll tell you the first Test against New Zealand in 1984. On a day when both Mark Ella and David Campese kicked poorly at the goals, Australia defeated New Zealand in the line-outs 25-16, with Cutler obtaining most of this possession. It was Jones who led the Manly rugby club (a club historically resistant to outsiders) to their first club premiership in 33 years in 1983. Not only that, but Manly’s victory broke Randwick’s steak of five successive premierships from 1978-1982. Perhaps the most surprising aspect of Jones’ coaching reign, is that with in-form Manly players such as Phillip Cox, Ross Reynolds, Bill Calcraft and Peter FitzSimons, perhaps Jones could have been excused for selecting players he already felt comfortable with. When Steve Williams was accorded the vice-captaincy of the Wallabies for the Grand Slam tour, some felt the Wallabies might gain an influx of Manly players. Instead, Jones’ resisted the strong push from Queensland to include Tony Parker in the squad for the 1984 tour of the United Kingdom, and selected Nick Farr-Jones – a player who had been playing second division for Sydney University. Little did anybody know that Jones had selected probably one of Australia’s ten greatest rugby players. Ross Reynolds was another player the fall under the Jones’ selection knife. In his place was selected arguably Australia’s most dynamic eightman, Steve Tuynman. Then there were cut-throat decisions, none more so than the decision to select David Codey for the 1984 Grand Slam tour. Firstly, this selection meant that Peter Lucas would be omitted from the touring side – a shock to a great many people given his form. Secondly, it became obvious that if Jones wanted Codey for height, so he could have a fourth line-out jumper, either Simon Poidevin or vice-captain Chris Roche would have to be dropped. The dropping of an incredible player, Chris Roche, came as a shock to many, but cruelly it did have the effect of heightening and bulking the Australian forward pack. Then there was the issue of goal-kicking. Jones had recognised that the 1984 Bledisloe Cup would be decided on penalties, given the way the first two Tests had played out. Prior to the third and deciding Bledisloe Cup Test of 1984, Jones earmarked Michael Lynagh for the fullback position. Unfortunately, Lynagh declined the invitation, unwilling to play in a position he’d never played before in the deciding Test of a Bledisloe Cup Series. Australia lost that Test to New Zealand 24-25. One cruel statistic reveals why I regard that loss as arguably the most painful in Australian rugby history. There were 26 penalties in the Test. 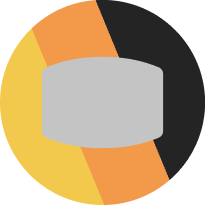 19 were awarded to Australia. Seven were awarded to New Zealand – all in Australian territory. Robbie Deans kicked six penalties from seven attempts. Roger Gould had an off-day with the boot at fullback! 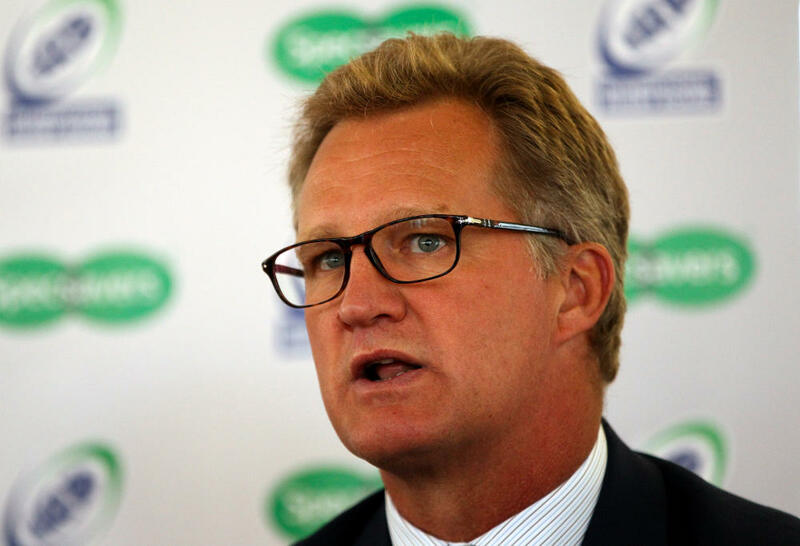 However, Jones was sure to find a place for Michael Lynagh on the Grand Slam tour at inside centre. Again, this involved the dropping of an in-form player, the wonderful Michael Hawker. Another forgotten Jones contribution was the addition of the Rhino Powerhouse scrum machine that accompanied the Wallabies throughout the 1984 Grand Slam tour. Jones was godfather to the son of Tim Francis, who then presided at Dulwich College in the United Kingdom. Francis alerted Jones to the machine provided by Phil Keith Roach, an Englishman who was unable to sell any of his scrum machines. Jones decided to trial the scrum machine, paid for it to be carted throughout the United Kingdom (out of his own pocket), and it yielded unprecedented success for the Wallabies, most notably when they scored a pushover try against Wales at Cardiff Arms Park. Jones decided to replicate this move for the Wallabies next overseas tour, the 1986 tour to New Zealand, and again paid for this scrum machine to be transported to every town the Wallabies played at in New Zealand (again, from his own pocket). And what was the biggest contributing factor to the Wallabies incredible Grand Slam success in 1984? Jones’ self-styled Green Machine – Australia’s midweek team. No Australian Test player could feel safe – Topo Rodriguez was challenged by Stan Pilecki and Cameron Lillicrap, Poidevin was challenged by Roche, Farr-Jones by Cox, Lynagh by Hawker, etc. The depth of Australian rugby was incredible, but Jones deserves credit for creating internal tension within the Wallaby camp – something missing in 1981-82. Australia was scheduled to play Ireland one week following their Test against England in 1984. Faced with no choice, Jones selected a team of second-stringers – the Green Machine – to take on the strong provincial side Midlands that featured Peter Wheeler and goal-kicking fullback Dusty Hare. The Green Machine triumphed 21-18. Then there was the match against Pontypool, after Australia had defeated Scotland to win the Grand Slam and prior to the Barbarians game, featuring nothing less than the best team Europe could select. Jones selected only five players from the starting team for the Green Machine. They emerged victorious 24-18. There were other triumphs beyond the incredible Grand Slam success. One week before Australia was scheduled to play France in 1986, the French side demolished Queensland 48-9. This was a truly great backline, featuring the likes of Berbizier, Camberabero, Charvet, Sella, Lagisquet and Blanco. The Wallabies provided what Andrew Slack regarded as Australia’s greatest forwards performance of his career – greater than the 1979 Bledisloe Cup triumph and the 1984 victory over Wales. 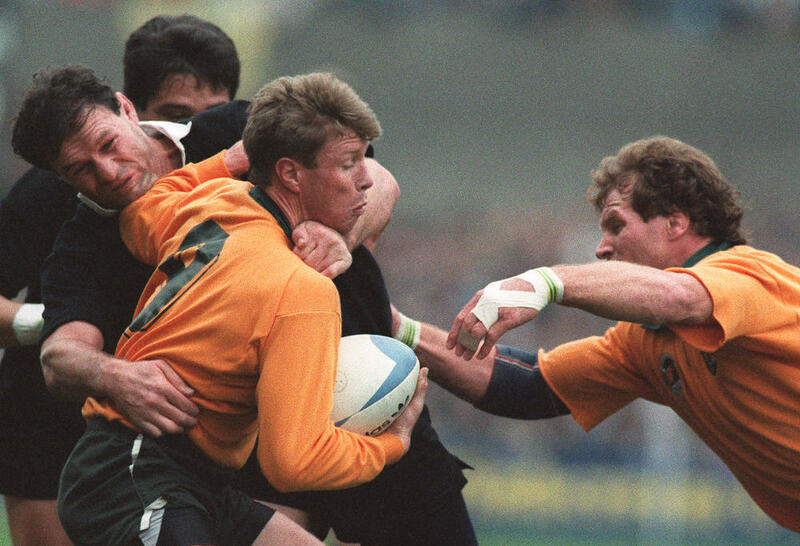 France scored three tries to Australia one, but Jones employed percentage tactics, ensuring that Australia played a forward-oriented ten-man-style of rugby, and Australia emerged victorious 27-14, with Lynagh scoring 21 points (a then record for him). What is the greatest achievement by any Australian rugby team? To beat the All Blacks in New Zealand will always be the ultimate in rugby, and perhaps nothing illustrates that better than their incredible record at Eden Park. The second last time the All Blacks were beaten at Eden Park, the Wallabies produced arguably their greatest ever defensive effort, as New Zealand produced some of the most incredible running rugby ever displayed on a rugby pitch, and nearly won but for an epidemic of dropped passes. Jones was relentless in his pursuit of success in New Zealand during 1986, and the New Zealanders hated his abrasive approach to conquering their All Blacks. Talk of defence reminds me that the 1984 Grand Slam Wallabies only allowed one try in four Test matches to be scored against them. What should Alan Jones tell the Barbarians just before kick-off? Perhaps Jones should begin by talking about Nadia Comăneci, the Romanian gymnast, like he did before the Welsh Test of 1984. Maybe the Barbarians will play mistake-free rugby for the first 23 minutes of the game. I hope the Barbarians are ready to have an electric shock sent through their bodies, from a man who completed transformed Australian rugby for the better, and brought it previously unheard of success.